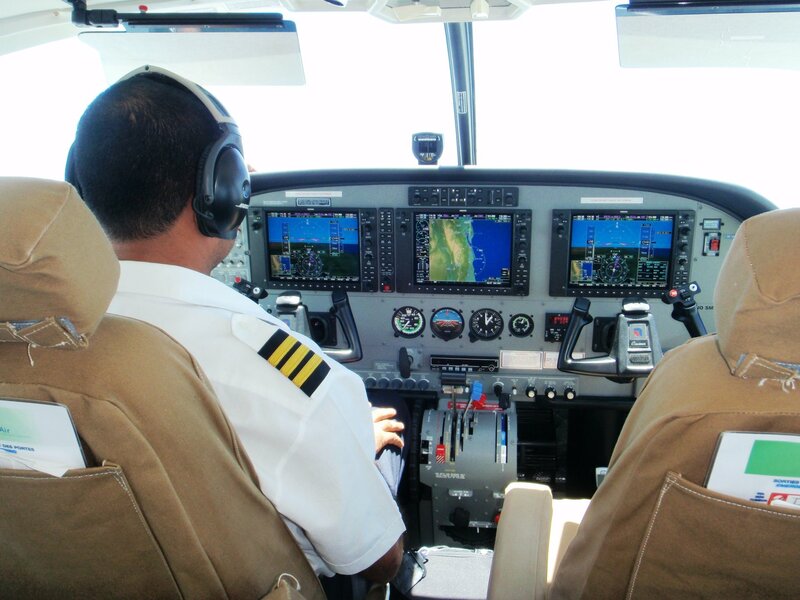 Tropical Air is the first locally-owned Zanzibari aviation company in Tanzania. We started operations in 1999 with only one single-engine aircraft, 5H-PKD, a Cessna F172N. All aircraft are available to serve our ever-growing client base. Tropical Air has grown its minimum daily seat capacity from 4 in 1999 to just over 170 in the 14year period. Founded and owned by family members Captain Omar H. Nura (also a qualified former aircraft mechanic and pilot with over 25 years flying experience), and his nephew, Farouk O. Daud (an astute business minded individual who could sell ice to an Eskimo), the two combined their personal visions and varied intellects to establish Tropical Air. The company now employs over 100 people permanently, with 90% being locals. Today we are still flying high, and by acquiring additional aircraft and expanding our service base through exploring new scheduled routes to Tanga, Mtwara, and further afield in Tanzania and the African markets, we aim to raise our flag even higher. We are in the process of negotiating for a Boeing 737NG with a view to operate three times a week from Zanzibar to Johannesburg. Please visit our contacts for more info on the various offices. We are no strangers to Zanzibar and East Africa’s tourism industry and with our efficient team of professional staff we will provide you with the service you expect.